When you're in need of maximum metatarsal protection, these Timberland PRO Men's Black 40000 Met Guard EH Steel Toe Work Boots with Ever-guard leather are a great choice. These durable met guard boots are designed to protect your feet without compromising your comf ... (see full details) (see specifications) #TMBTB040000001. When you're in need of maximum metatarsal protection, these Timberland PRO Men's Black 40000 Met Guard EH Steel Toe Work Boots with Ever-guard leather are a great choice. These durable met guard boots are designed to protect your feet without compromising your comfort and mobility. You can be confident wearing these safety toe boots into your extreme work environment. So if your job is in heavy equipment manufacturing, assembly, foundry or material handling, you're on the right track checking out these black boots. Even if you work in a mine or on a railroad, these Timberland PRO boots will keep you well-protected. These EH boots are constructed out of Timberland PRO's exclusive PRO Ever-guard leather and use Goodyear welt construction for a durable mechanical bond. They were engineered to resist abrasions, heat, and oil like nobody's business. The impact-resistant metatarsal shield, backed by impact-absorbing polyurethane, not only follows the natural form of your foot, the fully adjustable closure system also conforms for better protection. It's amazing how this footwear provides you with ASTM protection without restriction. The Ever-guard leather is attached to the heat- and oil-resistant Timberland PRO rubber outsoles with internal polyurethane comfort zones and stitched with Kevlar flame-resistant and self-extinguishing thread. This may give you the feeling that they should cost a whole lot more given all of these excellent safety features designed to perform in severe environments. 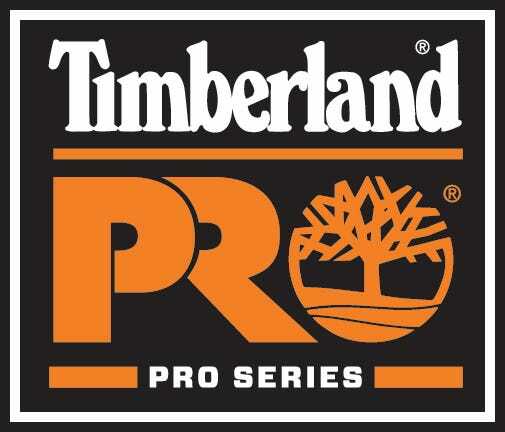 Even if we throw in a couple more extreme work environment examples, the Timberland PRO 40000 take them on with ease. With an ASTM toe classification and the special EH classification that protects your foot from electrical current on dry surfaces, these steel toe boots were made to ensure your safety. These antimicrobial boots also feature Cambrelle lining treated with Agion for odor control. The open-cell polyurethane footbed is also covered with Agion which also helps with odor and allows your foot to breathe. The steel shank also provides support. Another comfort feature is the leather padded top collar. These Timberland PRO boots were made using the 24/7 Comfort Suspension System developed to reduce foot fatigue, support the arches, and cushion every step. The Timberland PRO Black 40000 Met Guard EH Steel Toe Men's Boots prove that you can't compromise anything for the sake of staying safe on the job- especially comfort. Order your pair from the Working Person's Store today. I have no reservation saying that these boots are the best boots I have ever owned. So much so that I have purchased a 2nd pair. I am not a small guy 5" 11" and 280lbs I am on my feet all day. I purchased my 1st pair when I was working in a powerhouse as a mechanic. Used them in my transition job as a working maintenance supervisor, and finally after 3 years they wore out. I have purchased a 2nd pair and they are working great. There was no breaking them in, I had a pair of $250 Red Wings that took weeks to break in and blistered my heels. The Timberlands were broke in by the end of the 2nd day, dont hesitate to purchase these boots. They are comfortable on my feet. That isn't the problem. The problem is these metal hooks on the side near my ankles. They are for the laces to hook on to. They dig in to my ankles so badly. My second and third day wearing these, I could hardly walk. Every step I took, hurt. I went back to my regular steel toes and luckily nobody noticed I wasn't wearing Metatarsals. After a week I pressed on my ankles and they still hurt. I don't know who designed these but they obviously don't wear them much! I also work in a machine shop and found these boots very comfortable. The MetGaurd is also good for keeping coolant and other debris from getting in the boot. But it seems that the chips and coolant quickly took there toll on the soles. The upper part of the boot is still in decent shape but the soles are shredded. Amazingly they are still comfortable. I will be trying a different brand of boot next time. I need something that will not wear so quickly. I purchased these boots from here about 6 months ago. They are a very comfortable boot and do not require much break-in. The boot allows you to flex you toes (ie. crouching) and still protects your foot. I would probably not buy this boot again due to the fact that the skin on the met guard rubs off and peals. After 6 months of use the right met guar fell off all together. It came unstitched at the base of it and now just flops around. Nice boot for a while but does not hold up to working conditions. I am a heavy equipment mechanic, therefor those are the conditions they lived in. Hope this helps! These boots are the best, comfortable straight out of the box, even whith no break in period, I have had three or four pair of these particular boots, & will probably where them untill they stop making them. I work in a shipyard so, i,m really hard on them & they hold up. Timberland PRO Boots: Men's Black 40000 Met Guard EH Steel Toe Work Boots is being added to your cart.